If you always wanted to know the technique for being able to recover a parasol, the historical costuming club, Somewhere in Time, Unlimited (SITU), has held classes over the years for the historical costumer. This year, SITU is “revisiting” the training of parasol recovery. We noticed that several costumers who had taken the initial Workshop, had not completed their parasol. So, a follow up Workshop was scheduled, the original participants invited to come back, and we are headed for a day-long session! If you have questions about upcoming Workshops or a Design Studio, feel free to email our Workshop Coordinator: Karen “at” SITUSeattle “dot” com! Posted in All Blog Entries, Exciting News! Lady Windermere’s Fan – Blow out! In case you thought you could get tickets for the SITU Spring Event, ( “Lady Windermere’s Fan” ), you’d be “late” to the party. Although the play happens in May and the due date for the final payment is due in April, SITU has SOLD OUT all the tickets we reserved, 2 FULL MONTHS before the play! This is fair forewarning that future gatherings and events for SITU, will be posted and advertised well in advance. Don’t be surprised if each of the offerings blow out prior to the final payment date. 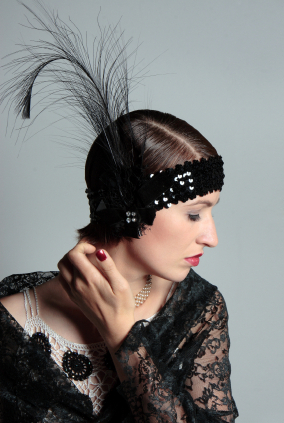 What does it take to look like Phryne? I wanted to know, so I started to research “the look.” The historical costuming club to which I belong, frequently has held, or participated in 1920’s era gatherings. This was special however. My well known twin, Lady Victoria of Essex, was asking me to look into the possibilities of getting something together in time for summer. She was coordinating attendance with The Brits for the All British Field Meet in July of 2018. This is no minor activity. This is a distinguished showing of classic thru contemporary British motors. Her image was likely to be captured with Bentley, Rolls, Jags and more. Whatever I came up with, needed to be suitable for my famous twin. With limited sources for fabrics in Seattle, either a trip to California or New York seemed to be looming in the future. NOTHING I had checked on from etsy or ebay had enough yardage for the pieces that need to be created. Now what? A road trip to Oregon seemed my next best choice. A mutual friend of ours had mentioned a location near the state line. The she and hubby were heading there to shop in preparation to gather fabrics for a King Henry VIII outfit. Good golly, surely a 1920’s outfit would be easier? So early in the day, I hopped into the carpool for the 3hr ride, arriving to a magnificent warehouse. Oh the delights found indoors! Within the hour, 2 entire garment sets of fabric had been cobbled together – top and matching pants, fabric for a duster, silk dress and matching silk lining with handkerchief bottom hemline, plus another duster. Amazing fabrics. Wonderful colors. Prices not to be found anywhere in the Seattle area. The efforts of our friends and the king outfit… still a work in progress. Don’t know the difference between a “Windsor” and a “4-In-Hand” type tie knot? Does your neck tie knot look like it could be improved? Do you know how to tie an Ascot or a Bowtie? Come As Your Favorite Fictional Character! Yes, it’s that time of year again, when many of us LOVE the great outdoors and the excuses we use to gather therein! Such is the gathering planned at Jefferson Park on August 17, 2014. Dining al fresco. Several rounds of croquet or bocce ball. It’s a must-come event. You dress up as a fictional character – storybook, superhero, old-school novel, whatever. 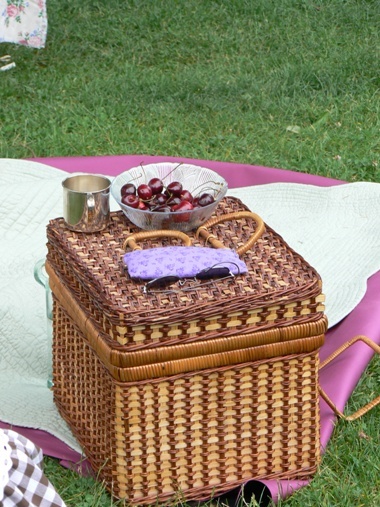 You bring picnic items to use and a dish to share. Super affordable and kids are free. Come. It’ll be fun. It’s super easy to dress up and the location is stellar with killer views over Seattle. 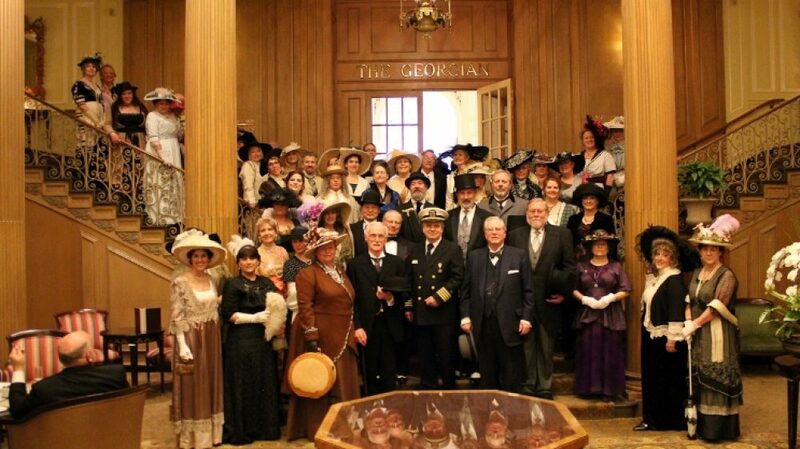 Historical Costume Sale – In Seattle! Historical Costuming Sale in Seattle!!!!! Somewhere in Time, Unlimited has been generously offered the costuming estate of one of our members who passed away last year. There will be oodles of “finds” one can use, including… accessories. We will have other vendors there who are members, also selling their garments and accessories. Sound good so far?This is a MUST ATTEND gathering, and it’s FREE to get in! Be sure to set aside the date on your calendars.Additionally, the following weekend, we will be holding a special “tea” where you can bring your finds and/or fabric, to ask a panel of seasoned costumers and folks in attendance, how you might be able to improve on what you bought, re-muddle it, make something terrific out of what you bought, and in general, spend a delightful afternoon with friends! See you soon…. Lady V.
Looking for affordable 18th century ladies shoes for your costume?